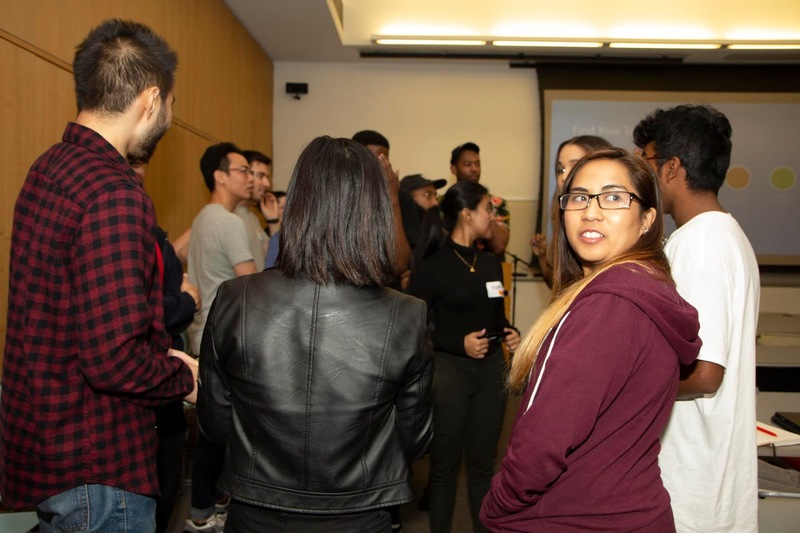 Why would 46 college students from 7 different disciplines spend 24 sleepless hours together? To problem-solve new ways to inspire girls to stay in STEM. The clock started ticking at 6PM on Friday, November 2nd as BIC kicked off this unique 24-Hour Idea Hack, a collaboration with VMLY&R, one of America’s most iconic ad agencies, and the Ad Council, one of the oldest public service non-profit organizations. 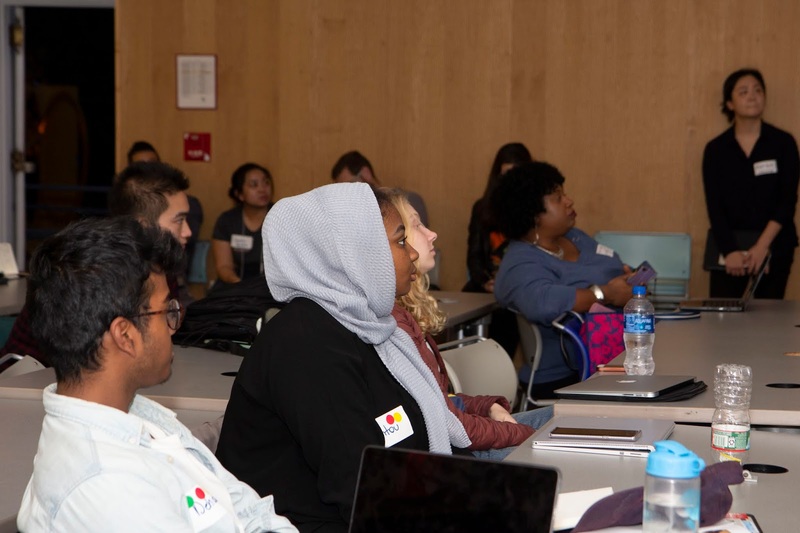 With support from CCNY’s Zahn Innovation Center, the 24-hour session in Spitzer Hall attracted students from across campus, wrapping up at 4PM on Saturday afternoon when judges gathered to review the work and award prizes. 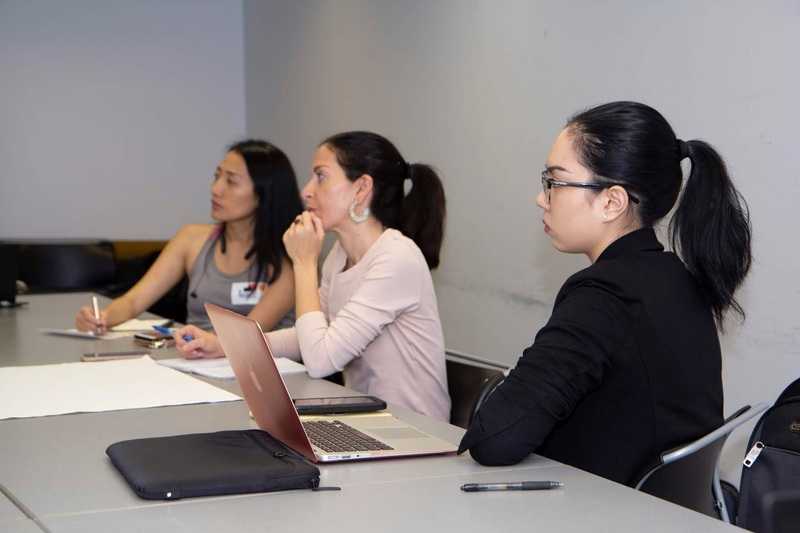 BIC students from all three tracks (creative, management/planning, and public relations) as well as undergrads from Ad/PR, economics, psychology, and engineering quickly formed teams of five to seven to start ideating new concepts for the Ad Council's "Empowering Girls in Stem" initiative. 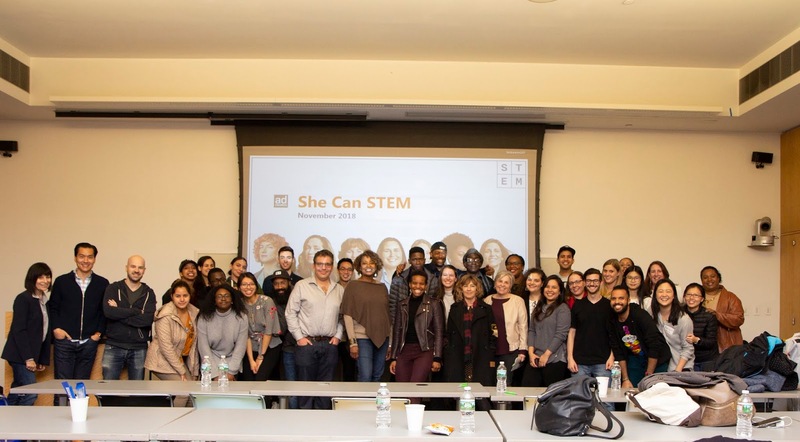 Their challenge: come up with new perspectives, ideas and technology-based solutions that create an emotional connection between young girls and STEM -- all in record time. 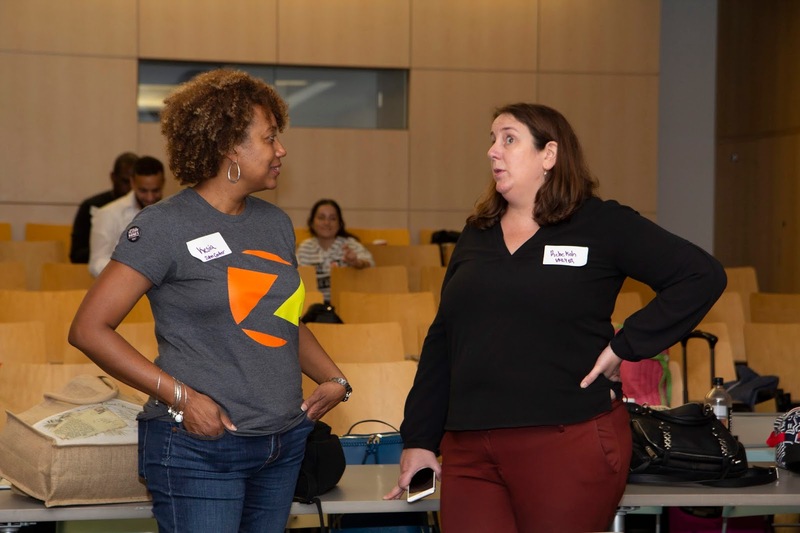 Ten coaches from VMLY&R and CCNY were on hand to provide guidance and help teams stay on track. 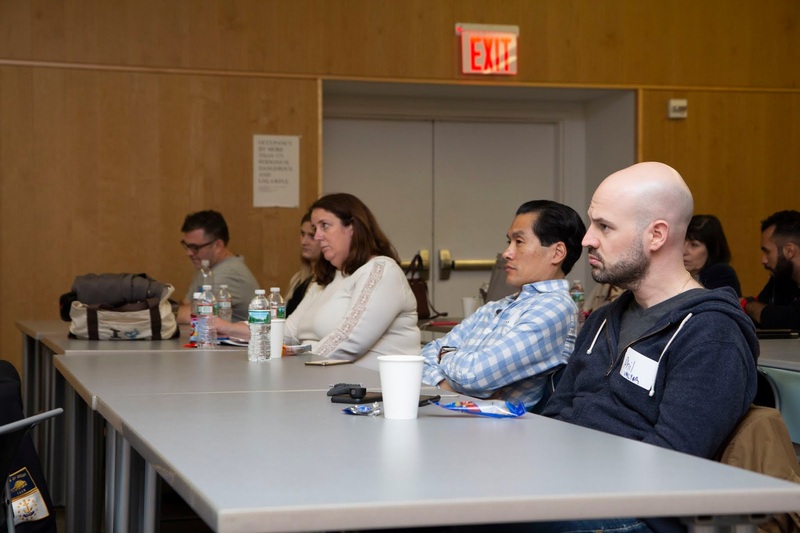 Coaches included VMLY&R professionals Eric Ackley, Digital Experience Director, Fernando Martinez, Sr. Integrated Project Manager, Phillip Pastore, Associate Director of Creative, Katherine Piscatelli, Account Director, David Prince, Sr. Strategist, Rebekah Shufelt, Global Projects Director, and Jeff Small, Creative Technologist. 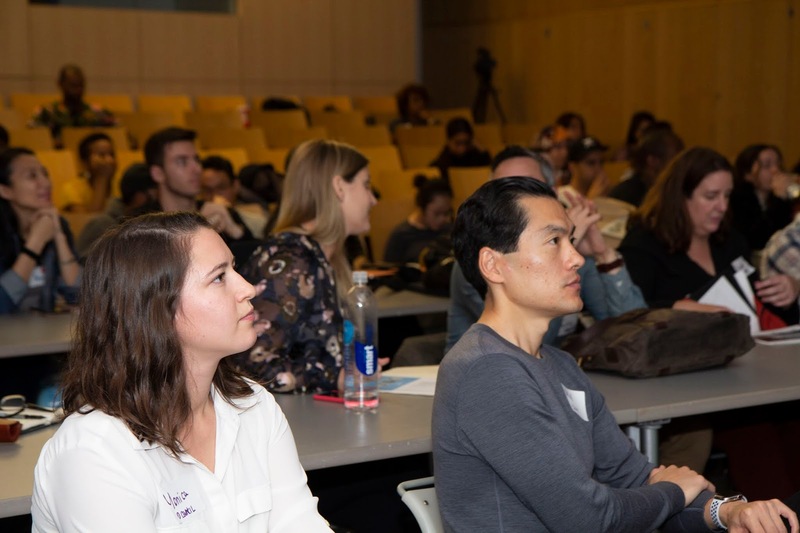 CCNY coaches included Lynn Appelbaum, Professor, MCA Ad/PR, Gerardo Blumenkrantz, Acting Program Director, BIC, Javier Garcia, Adjunct Lecturer MCA Ad/PR, and Paul Kim, Adjunct Lecturer, Colin Powell School. 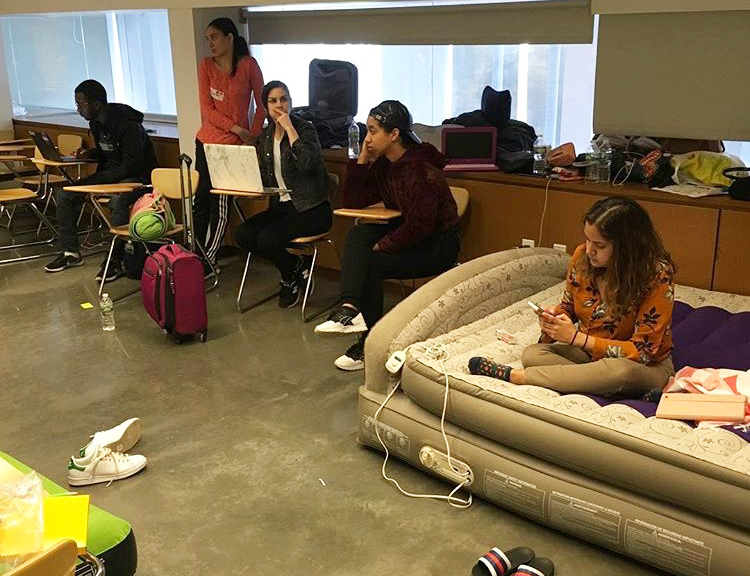 The time flew by, with most of the students working through the night, sleeping in breakout rooms on air mattresses, sleeping bags, and on the floor. 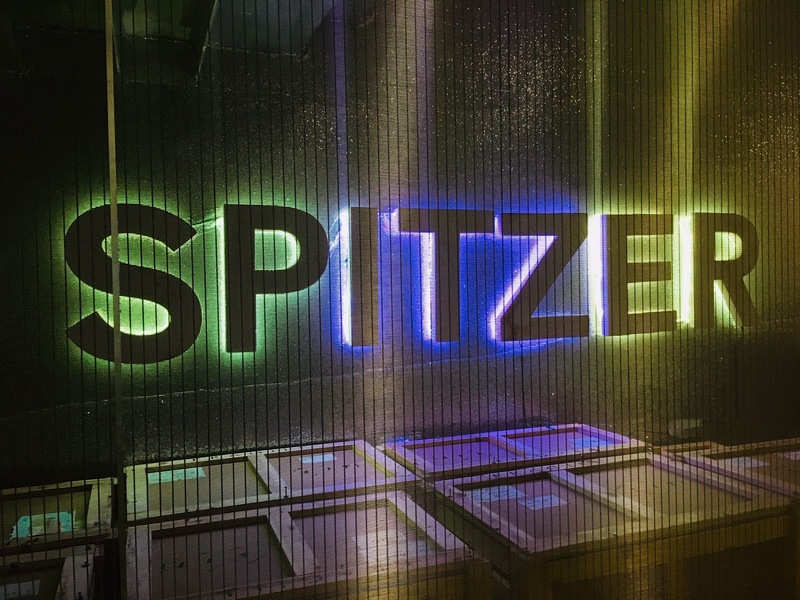 Gerardo Blumenkrantz was the only adult who remained at Spitzer throughout the night to provide support to the bleary-eyed teams. 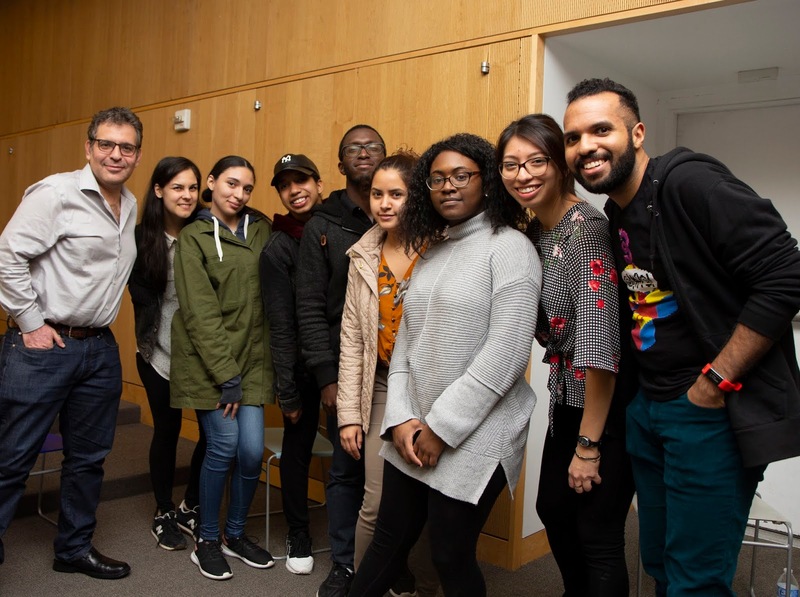 CCNY adjunct lecturer and BIC alum Javier Garcia was impressed by all of the teams. 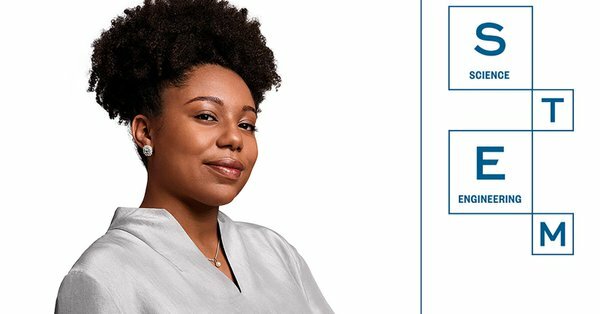 "In just 24 hours, I've seen a new level of growth in the students. They'll bring a fresh perspective with them into the classroom they wouldn't have gotten otherwise. They've learned that everyone has something to offer - from different backgrounds and disciplines. It's about finding ways to help people have the confidence to have a voice." 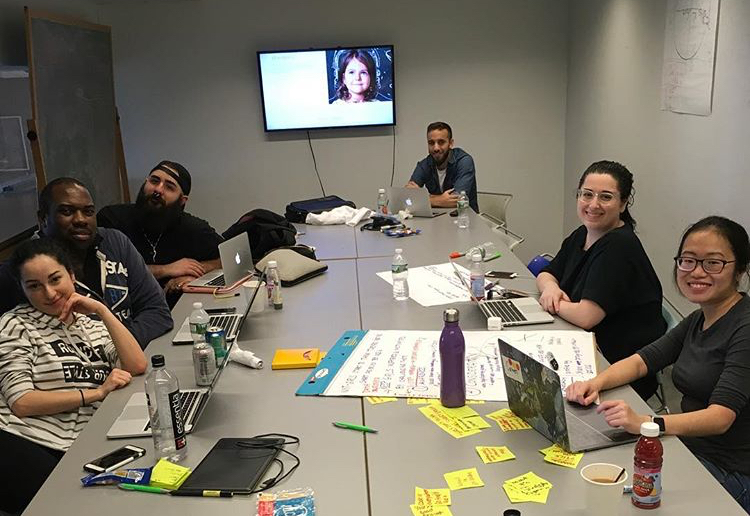 On Saturday morning, 17 hours into the Idea Hack with little to no sleep, the teams continued working furiously on their solutions. 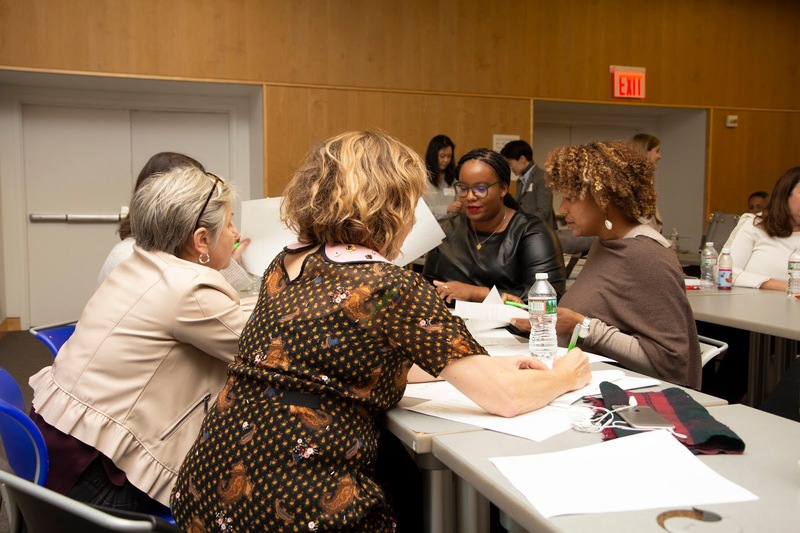 At 4pm they put their game faces on to pitch their ideas to the panel of esteemed judges: Belle Frank, SVP Chief Strategy Officer of VMLY&R, Kesia Hudson, Executive Co-Director, Zahn Innovation Center; Monica Hunter, Assistant Campaign Manager, Ad Council; Catherine Patterson, Executive Creative Director, VMLY&R; and Ashley Gramby, Senior Marketing Manager, Girls Who Code. Belle Frank found the IdeaHack especially rewarding because as a young girl she was discouraged from going into STEM. Nonetheless, she was able to find her way into research and today firmly believes STEM is important for the world as well as for girls. 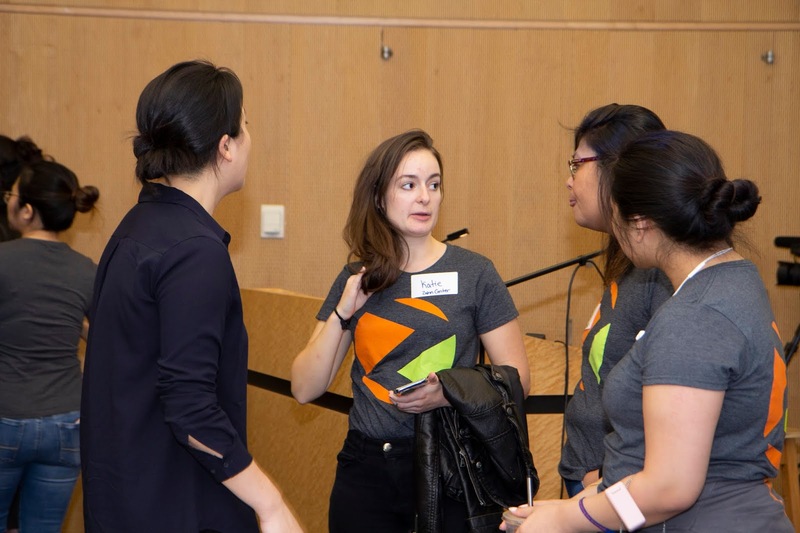 As a judge, she was looking for "A solution that helps people appreciate how numbers and data can help them in the world today; that helps them experience the beauty and utility of data as a philosophy and can be applied in a realistic way." First Place. 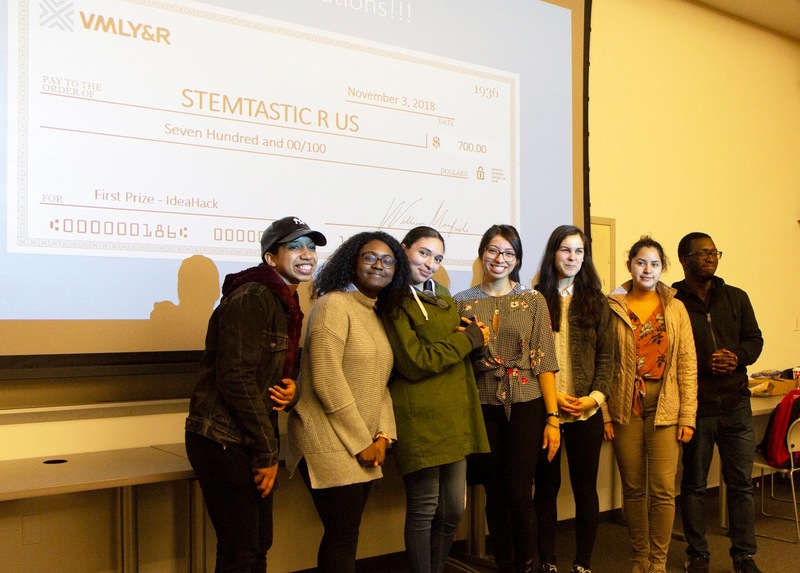 Team Stemtastic R US won $700 for their STEM Hive emblem mentoring system, where female college STEM students mentor high school girls and high school girls mentor middle school girls. 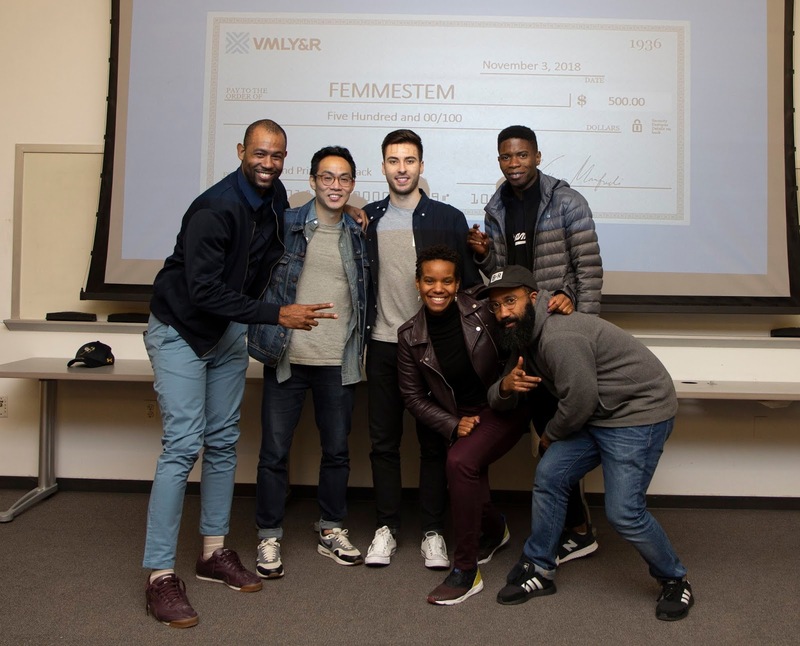 Second place Team Femmestem won $500 for their SPARXSTEM solution, an IRL and digital network of resources for young girls to look to in their everyday lives. 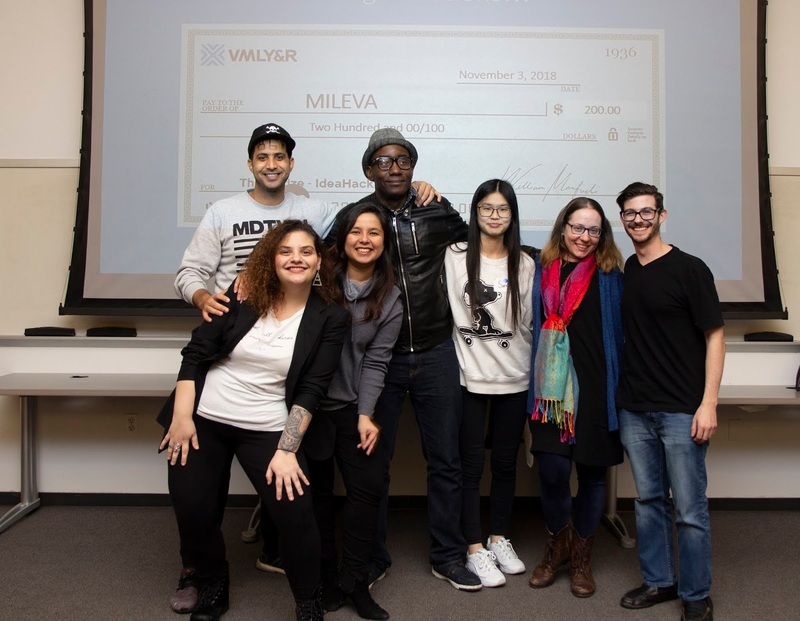 Third Place Team Mileva won $200 for their STEM Force comic book whose characters are based on historical women in STEM and use Science, Technology, Engineering and Mathematics to solve everyday problems. It took a small army of people to pull off this event. 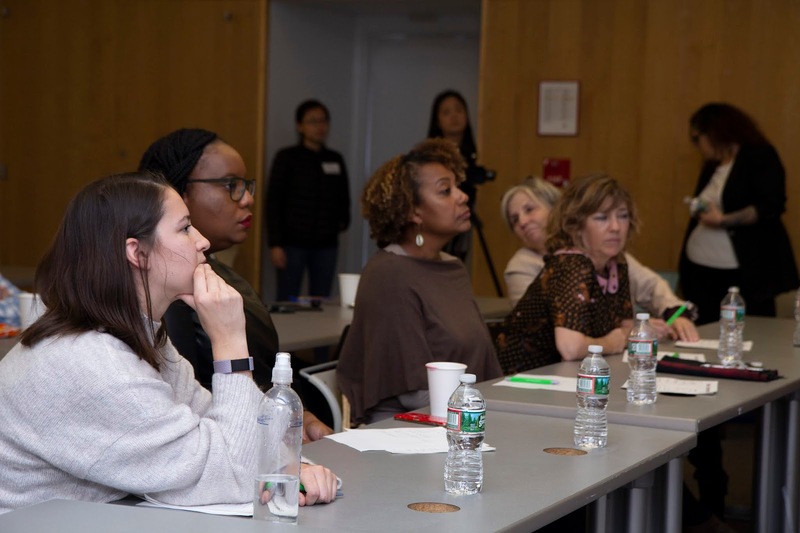 Special thanks to: Karen Wu, Global Talent Manager, Tasha Gilroy, Director, Inclusion & Community Global HR from VMLY&R; Kesia Hudson - Co-Interim Executive Director and Devin Voorsanger, Managing Director from Zahn Innovation Center; Katherine Olives, Program Associate, and Professor Lynn Appelbaum from CCNY MCA Ad/PR; Gerardo Blumenkrantz acting BIC Program Director, Nancy Tag BIC Program Director, and Marlene Leo Program Specialist from CCNY BIC. The Ad Council is the largest producer of public service advertising. 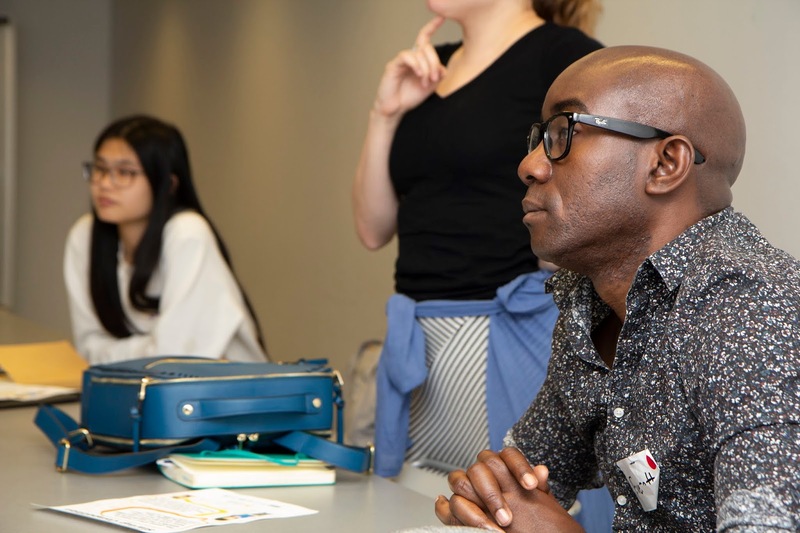 It uniquely collaborates with advertising agencies, media services, and business communities to develop pro bono campaigns with donated media to deliver informative and behavior-changing messages to the American public. Founded in 1941 to help sell war bonds, more than seventy years and hundreds of campaigns later, the Ad Council remains America's leading producer of public service communications, including "Smokey the Bear," "McGruff the Crime Dog," and "Love Has No Labels."